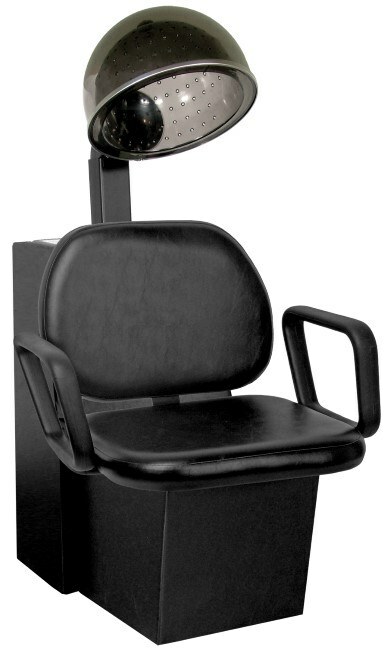 The Grande Dryer Chair, is made to accommodate the Apollo, SolAir, and Highland dryers. Features include durable molded urethane armrests, black upholstered frame, Ovations cushions in the color ordered. Measures 22" between the arms; back cushion is 15" high.